The odorous house ant, Tapinoma sessile, is a noted nectar thief of assorted flowers. Often they'll steal the nectar to plants that have noted defenses against ants robbing he nectar. But this times it seems the odorous house ant has met its match. Our native Flame Azalea, Rhododendron calendulaceum, has some very pretty yellow-orange and sometimes red flowers that are fragrant. Hummingbirds, butterflies and bumblebees are all occasional visitors to this plant. 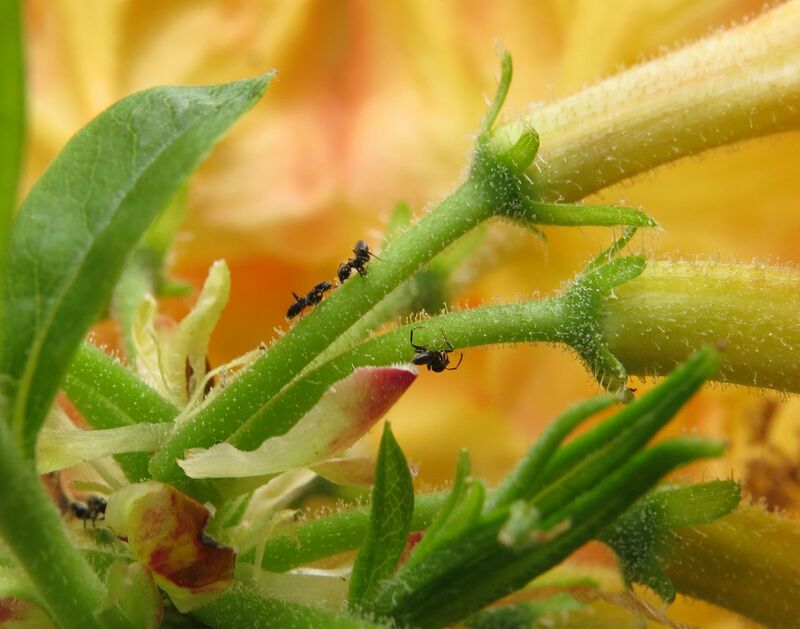 The dead ants and gnats attached to the flower stem entice Hummingbirds in for a different reason.